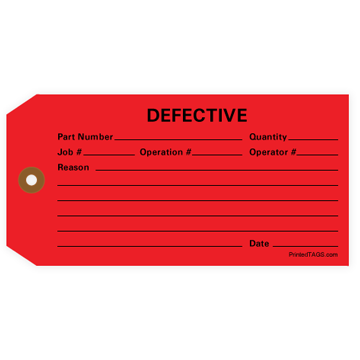 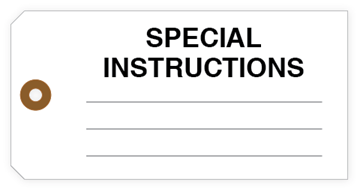 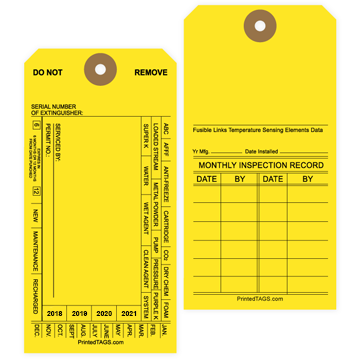 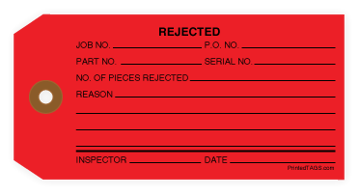 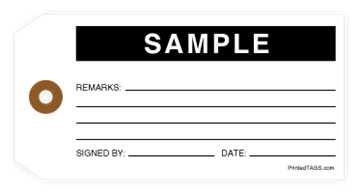 Printed Tags offers inspection tags that are professionally designed to accommodate various types of equipment. 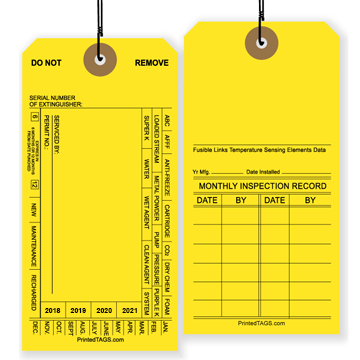 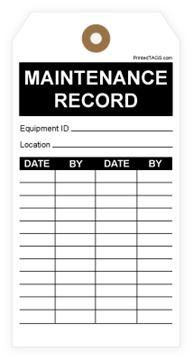 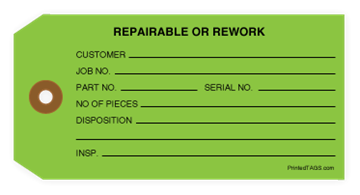 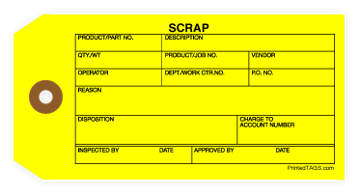 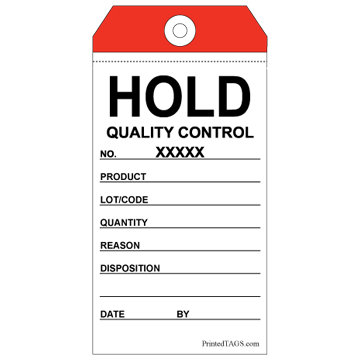 Safety inspection tags are needed to indicate to employees and inspectors that equipment has been inspected and is in safe working order. 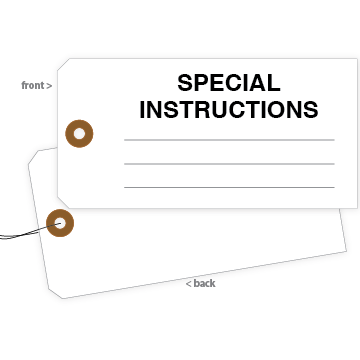 Each of our inspection tags are made from durable materials and come with a reinforced eyelet to ensure tags stay in place. 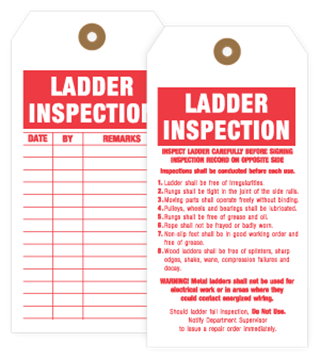 Don’t see the Inspection Tag you’re looking for?